We lived 5km out of town along the coast and my sister and I were the only kids at our school bus stop. However this didn’t seem to bother us. While we waited we made a hand ball court by sweeping the clay, so there was a smooth area to play. 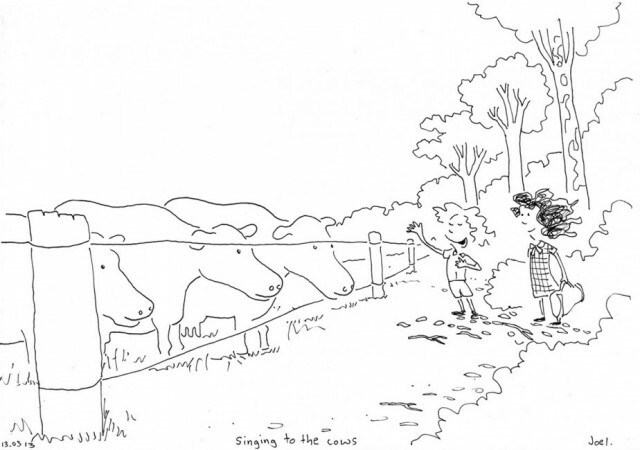 And the property over the fence was dairy farm, I would sometimes amuse my sister by singing to the cows “Da do ron-ron- ron”. To our amazement they would all huddle over to listen. These were magical days.